The increasingly frequent dry spells and warmer fall and winter temperatures are contributing to wildfires becoming a common phenomenon in the southeast, resulting in homes and businesses becoming impacted by fire and smoke damage. According to the state’s department of wildlife and parks, over half the people living in Mississippi are at risk of being threatened by a wildfire, creating a need for professional fire cleanup services. 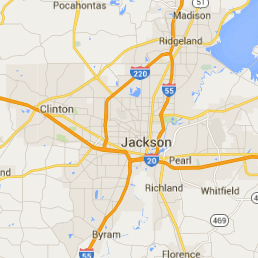 911 Restoration of Central Mississippi is aware of the destruction that fire and smoke can do to homes and businesses in the region and they want property owners in Jackson, Pearl, and Madison to know they can rely on their technicians for complete property restoration services. After a disaster as severe as a fire impacts your property, you will have questions about the restoration process. We want to streamline this entire ordeal for you by offering a free fire damage assessment, where our experts will walk you through their fire cleanup procedures, from start to finish. Our qualified technicians will implement smoke and odor removal techniques, ash and soot cleanup, and water extraction services to address the flood damage typically created by the fire department. Staff members will also go over your insurance policy with you to help you understand your coverage and ensure that your claim is being filed correctly. We work with all types of insurance providers, and our services are priced competitively. 911 Restoration of Central Mississippi wants to not only help you recover from a property fire but turn one into a Fresh Start. Call us today to start the recovery process with a free inspection and estimate. Following a fire, you may find your property filled with ash, soot, and smoke, all elements that can leave permanent stains and foul odors when not cleaned up properly. It is understandable that you may want to start making repairs on your own. However, this can become problematic if you’re not trained in fire restoration. Many people do not realize that it is possible to make smoke damage worse by using the wrong cleaning agents, which will in turn also increase the lingering odor. Smoke and ash are aerosolized into the air and become deposited onto the materials throughout your home. As smoke fills the rooms, everything in the house becomes saturated with soot and oily residue. Technicians will treat the property with heavy-duty cleaning agents specifically made to combat the tar and oil stains caused by the smoke. Deodorizing chemicals are also used to vacuum out the smoke smell, completely removing that foul odor. 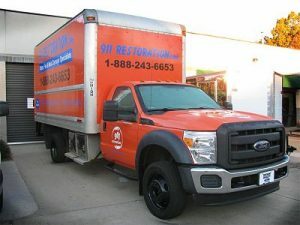 The technicians at 911 Restoration are IICRC Certified to perform fire damage restoration, making them the reliable source you can trust to recover your home or business fully. Our trained technicians combine their knowledge of smoke and fire damage to provide you with a comprehensive restoration plan designed to get your property looking better than new. So, call us as soon as the fire department leaves your property, and we will begin the recovery process today. Many people are not aware of how much flooding is created throughout their property as a result of the fire department extinguishing the flames. Sometimes the water damage is actually worse than the fire damage, leaving you with an entirely new set of issues to deal with. When you hire the technicians at 911 Restoration of Central Mississippi rest assured that they have the skills needed to administer both the water and fire cleanup services. We are experts at implementing emergency water extraction and drying services, so you won’t have to worry about hiring a separate company to handle the water damage restoration. Most of the time the flooding is severe enough to warrant a complete pack-out of the items in your home. The technicians will safely remove all your belongings and store them for you until all the repairs have been made and it is safe to move them back inside. Trust 911 Restoration of Central Mississippi to take care of you during the aftermath of a fire disaster. Call us today, and we will show you how a fire can actually become your Fresh Start.